Pound facility for the Burwood & Strathfield local council area. We rehome all appropriate dogs & cats who's owners cannot be located. Call and speak to our experienced staff & book a time for a visit. 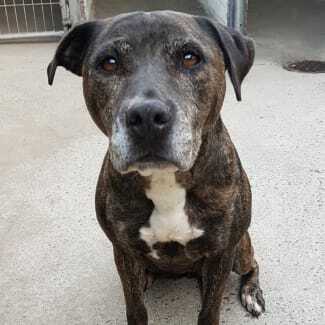 Hera is a lovely natured older female staffy. She was unfortunately abandoned by her previous owners and is now in need of a new family to live out her senior years with love.